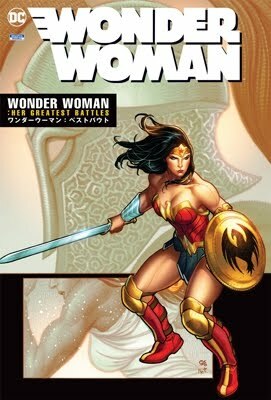 Reprinted in WONDER WOMAN: GODS AND MORTALS TP (Feb 2004), WONDER WOMAN #3 (Spain) (1988), WONDER WOMAN #1-5 (Spain) (1989) JUSTICE LEAGUE #5 (Italian). Kind of funny, but I was watching Monster Squad (1987) and there was this scene where Sean and Patrick was bullying Horace. They grab the comic book that Horace was reading and tears it in front of his face. The comic book was WONDER WOMAN #3 (Apr 1987).